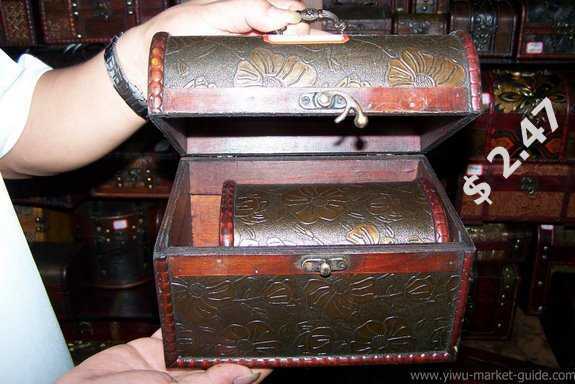 The main Yiwu Art and Craft Market is also inside Yiwu International Trade City. It's on 3rd floor of District One, sharing the same floor with jewelry accessories. 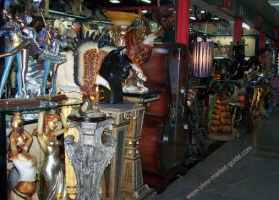 Some online articles may tell you there is one more exclusive arts and crafts market near International Trade City. Run, don't walk , from that site quickly. That's a piece of 2005 news. Now very few shops are still there, and you'd better forget them. Because the surroundings are not comfortable at all. 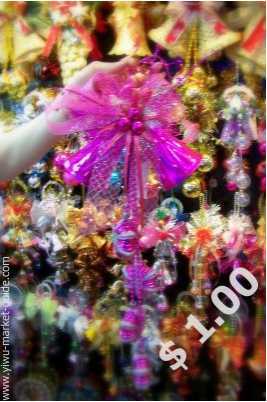 Don't forget the fact that Yiwu produces over 50% of all Christmas decors in the world. A typical booth is about 4X4X3 meters. As the lack of quantity, usually you can see two laobans (uni-title for all the shop assistants and shop owners, read as "lorban") sharing one standard booth. That's why when you check the booth numbers, there're just 2500, but when you go there, you can see more than 3,000 shops. Many stalls expect you buy a sample first if you're interested in their products, and then deduct that money from your future orders. Free samples are available less and less nowadays. Most of the shop assistants have no difficulties quoting prices with calculators, or dealing with simple English questions like "how much?” A translator is needed if you want more details. 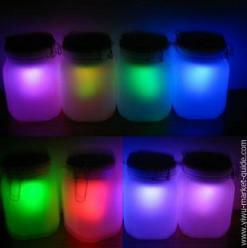 These are Sun Jars. 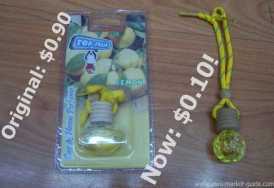 As you can see from the name, it can save the sunshine in daytime and use it in the night. 7 colors. Ideal gifts for kids, but obvious, all adults know how it works. 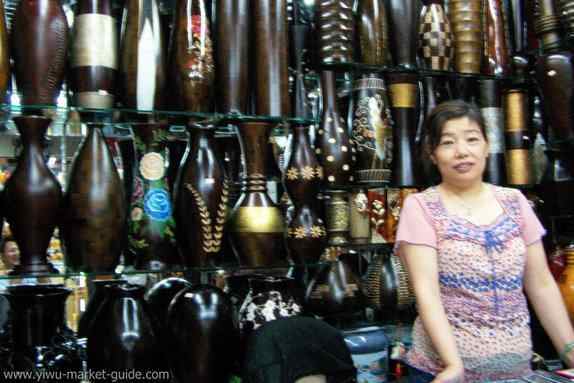 Any Bargains in Yiwu Art and Craft Market? You can find some bargains now and then inside the market. Some are clearances, some are leftovers. These items usually have a 30%+ off discount for the same quality. This one is old model and cannot keep up with the trend, so a big discount for stocks. These dinnerware sets are on sale now. You can have a 15% off discount price. This price will last for at least 2 months. Mrs. Wu, a kind lady always greets you with smiles when you enter their booth. She has been dealing with vases for almost 10 years. Their factory is located in Yiwu. 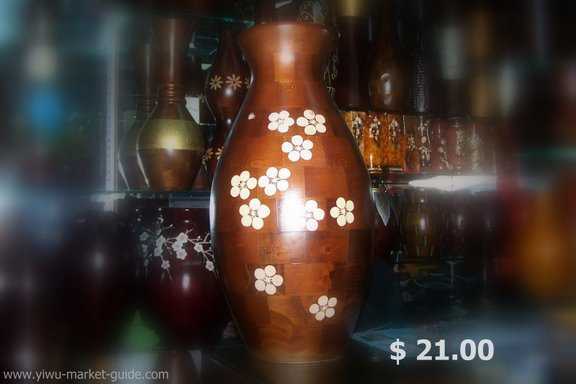 The handmade, solid wood vases are of fine qualities. Organic, durable, without unpleasant smells or hazardous chemicals. "All customers like my vases, but not all of them like my prices" She complained several times to me. "But as you know, this is fair price for the quality". I agree with her. Mr. Lee, a sweet dad of a 6-year-old strong boy. He is hard working and always keeps an eye on new things to grow his business. His booth sells on behalf of their factory in Fujian province. Because of direct factory outlets, no middlemen, his prices are always cheaper. Miss. 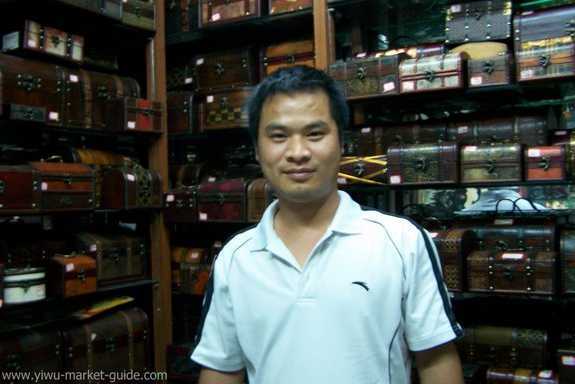 Lee, one of the young generation of Yiwu entrepreneurs. She is the few ones I know can equip themselves with the right skills and the right knowledge for their future businesses. Good computer skills, smart marketing sense, strong communication abilities. Everything from her hands is professional look and feel. I can see her business grow fast soon. If you come across one person like this, then you know you finally get the ONE in Yiwu for your future Christmas decorations. This is another big section. You need to save your legs with the right equipments: light comfortable shoes, backpack and a pulling luggage for samples. Again, browse according to the booth numbers, block by block, so you can cover as much as possible. It's always a better idea to have a overall look, as you can find a crystal crafts stall located in the ceramics section, or a ceramics stall standing in the crystal section. Always ask for new models if you think they may have. Some shop owners frown at taking photos without asking permission. So ask first. If they say no, you may need to do a bit explanation or leave them a business card.For the products displaying outside, there is no problem at all. Most of them don't care actually. You need to take photos as many as you can. If you think you can find rest of their products in their websites later, you'd better quickly quit that idea. They do print their websites on their name cards, and over 90% of them claim they have a website. Once I had a test, and found out around 50% of their websites are totally unaccessible, another 40% have never been updated since the day they were born! It’s shocking.